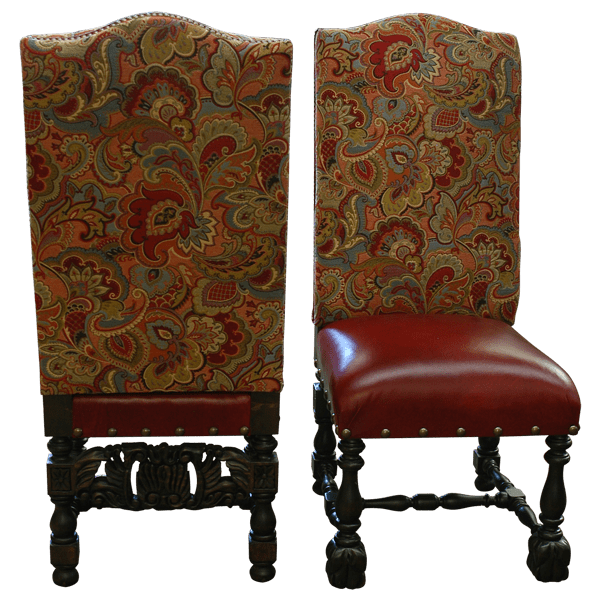 This Spanish colonial style, handcrafted chair is designed and built without armrest, and it is a perfect option for your dining room or for your living room. 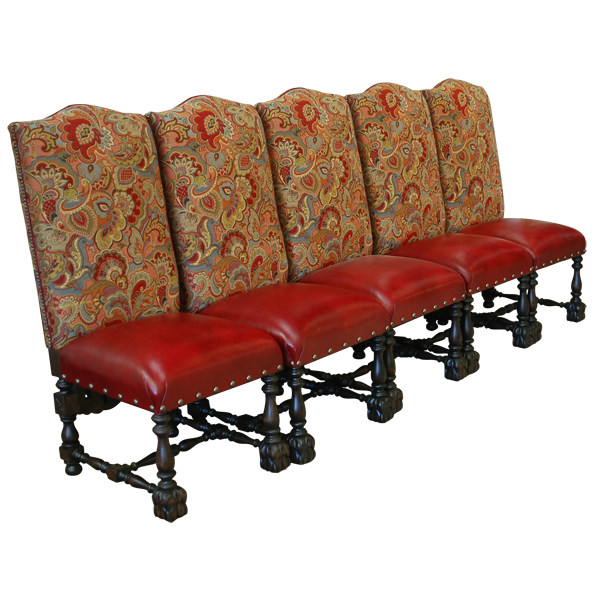 The padded seat is upholstered with red stained, full grain leather. 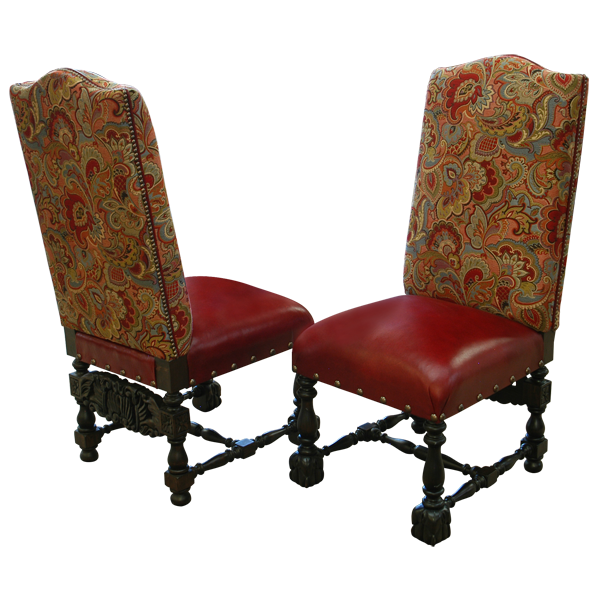 Both sides of the seat back are upholstered with floral designed, fine fabric. 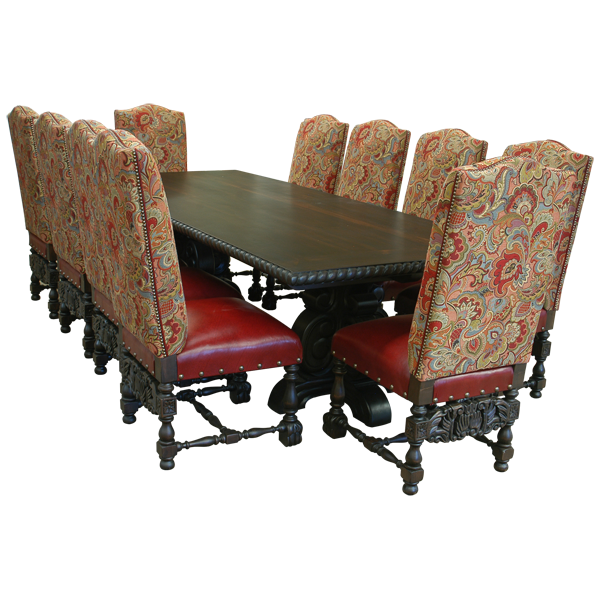 The seat is embellished with large, decorative nails precision hand tacked to the seat base by our skilled craftsmen. The chair is supported by straight, hand turned legs, and the front legs end in block style feet. The legs are joined by a hand turned “H” stretcher. The intricately, hand carved, back stretcher panel can be personalize with your initials. The chair is made with the best, sustainable, wood available, and it is 100% customizable.